Despite the obnoxiously snowy weather we’ve been having around here, I’m currently on a smoothie kick. I know, I’m weird. My smoothie love comes in phases. Late summer I was awash in a sea of fruity-green blender concoctions, enjoying at least one frosty beverage a day. Then I must have got smoothie burn-out because for a while they didn’t sound so enticing. A couple of weeks ago my smoothie adoration came back, and it’s still going strong. 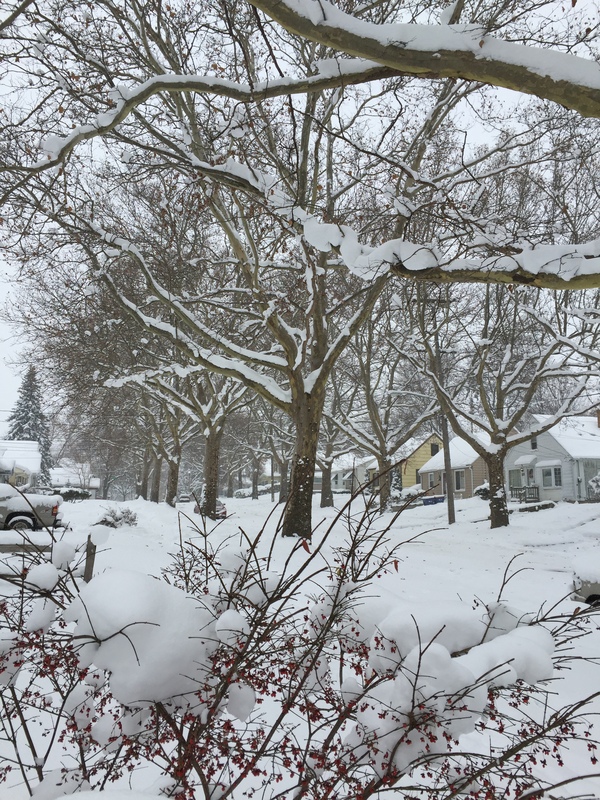 That’s right, we’ve been under a winter weather alert here for the past 4 days, have been pummeled with record-breaking snowfall (currently standing at 21.5 inches), and THIS is the scene outside the front door …. … and yet I get up this morning and eagerly feed my blender a hefty assortment of tangy-sweet frozen fruit. There is just something so refreshing about this smoothie! Even the vibrant, bursting berry hue will have you hooked. 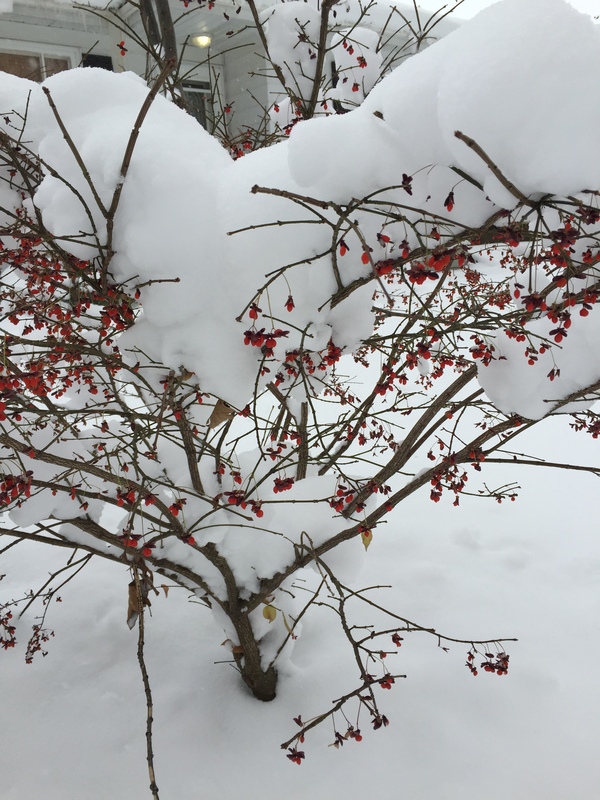 It’s intense berry-red countenance is a cheerful and much welcome contrast to all the white stuff flying around outside. You know when a beverage is naturally this bright and pretty that it has to impart some glowing benefits. Blushing Beauty in her casual wear. This crimson little darling possesses more than just exterior allure. This divine smoothie is an antioxidant powerhouse! Not only does it boast a healthy amount of berries (which are popular skin-boosters), it also has the secret antioxidant treasure trove (and vibrant red hue producer): beets! Beets are unique in that they have an unusual mix of phytonutrients, and unlike that of most antioxidant-rich fruits and vegetables. They are also a potent anti-inflammatory and detoxifying food, making them a must-have on your beauty food menu. Raspberries and strawberries add even more anti-inflammatory properties and antioxidants, while orange and lime provide additional vitamin C. The apple has plenty of beautifying benefits of its own, like boosting skin’s natural protection from damaging UV rays and increasing collagen production, which you may remember if you tried my apple pie smoothie recipe. If you read my post on getting clear skin, and you’re looking for the perfect smoothie to add to your anti-acne repertoire, look no further! This anti-inflammatory, antioxidant blend is a fabulous way to get a full day’s worth of anti-acne and anti-aging nutrients, all in a delicious juicy bright beverage. 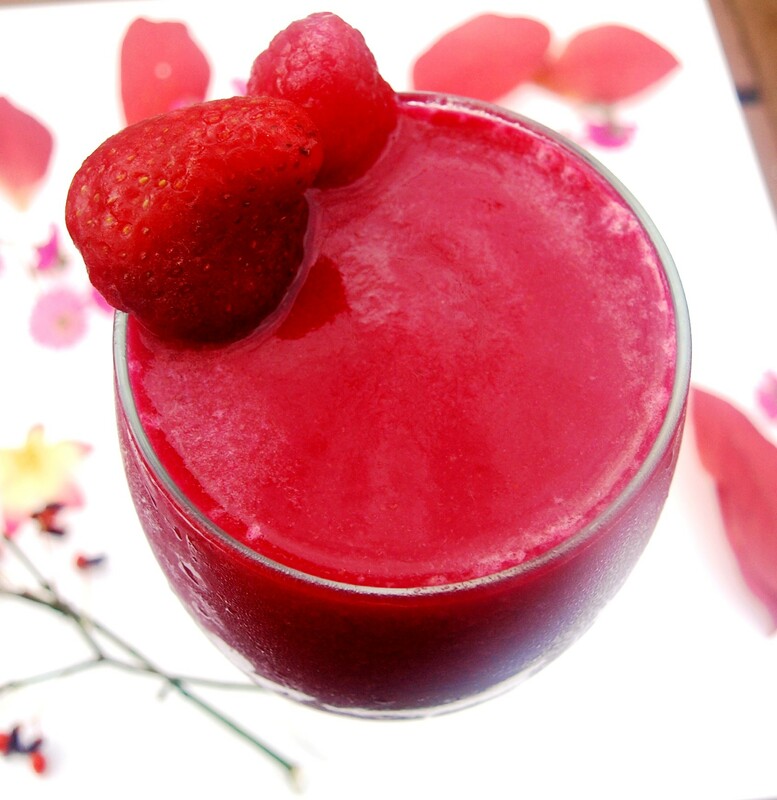 Be a blushing beauty and enjoy this healthy smoothie, no matter what the weather! Add all ingredients to your blender and blend on high until smooth. 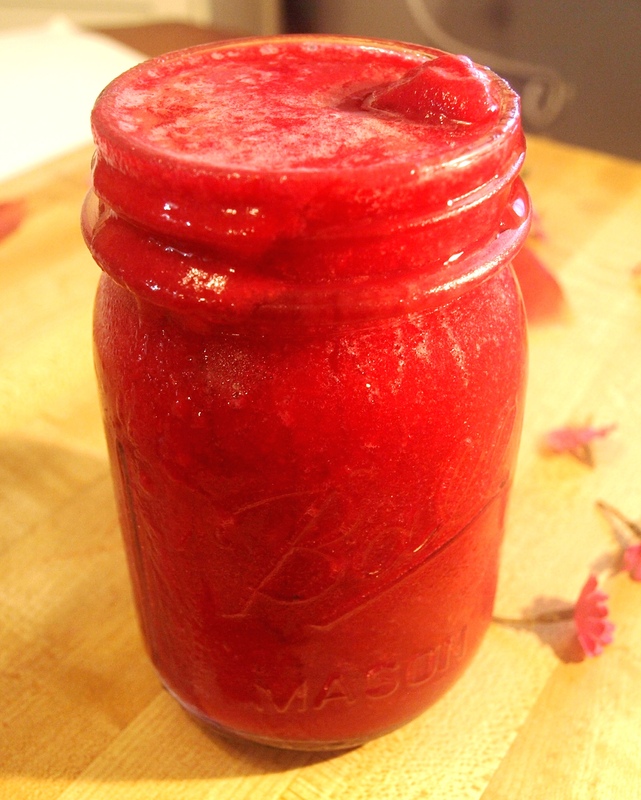 If you’re using a regular blender, be sure to steam your beet and allow it to cool before blending. You may also need to add additional water or coconut water. P.S. 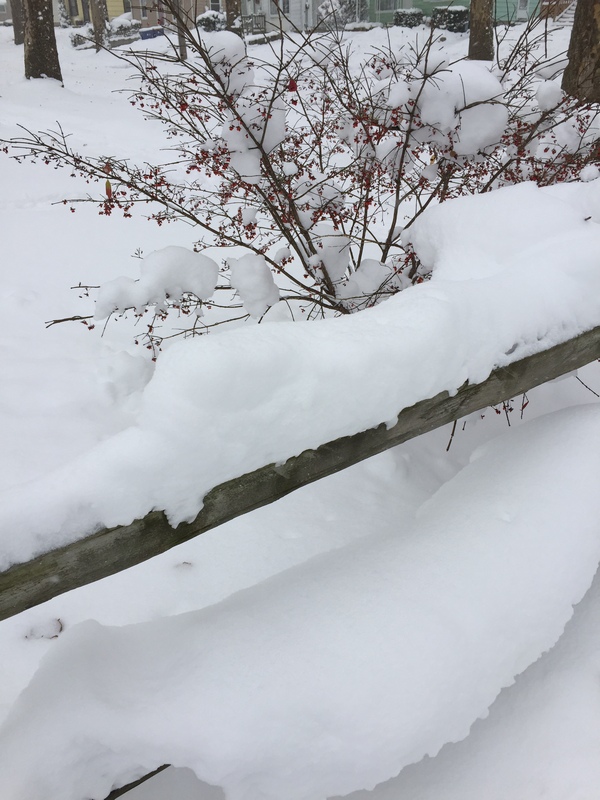 Are you getting way-too-early snowfall and/or insanely cold temps where you live? It is ridiculous around here, even for Michigan! By the way, I promise I have some warmer recipes coming up in the near future!